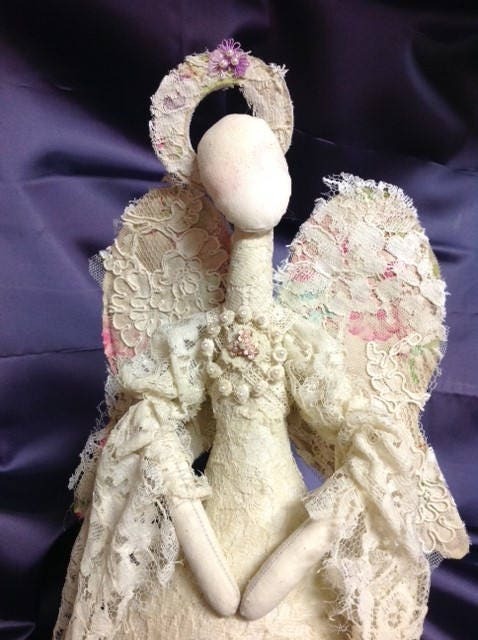 If you love playing with fabric (who doesn't) then you will love making this doll. It took me days to finally say "ok, she is done". 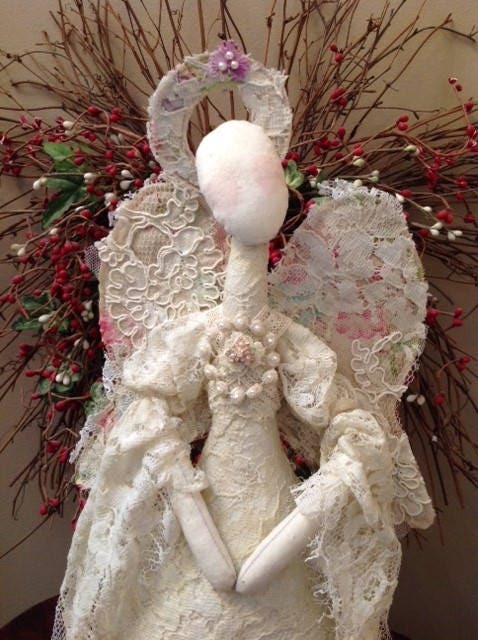 I first finished the lace body, some lace on her wings and a few appliques at the bottom of her body. 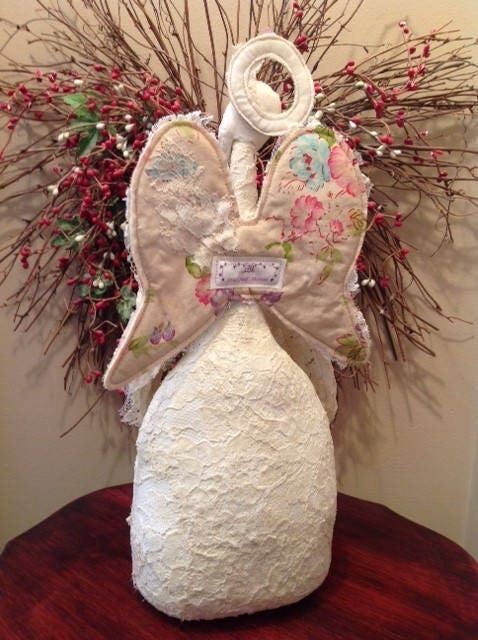 Then I completely covered the wings with lace. Every time I looked at what I felt was a completed doll, I said "nope, she needs more". 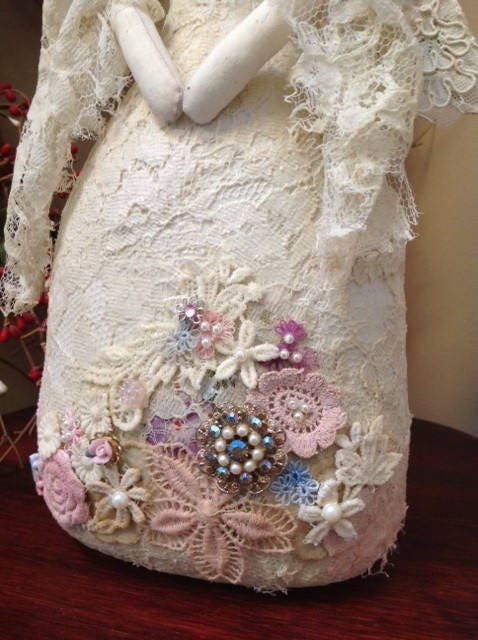 For several days I added laces, appliques, pearls, beads and my jewelry findings. Start this doll & you will see what I mean. 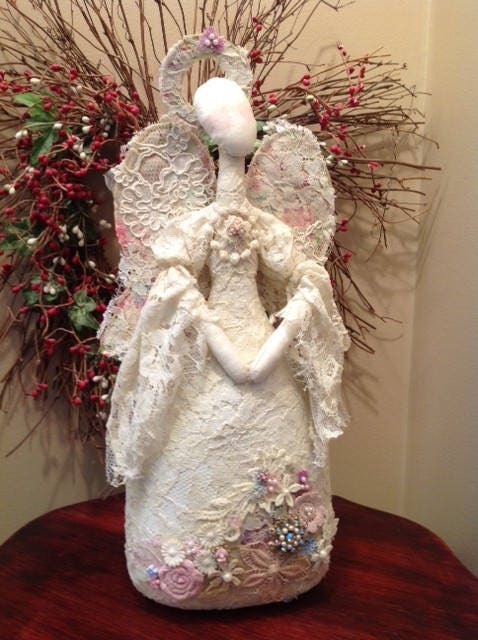 The PDF download pattern includes easy to follow, step by step instructions, doll pattern with some instructional photos and a convenient complete suggested materials list. 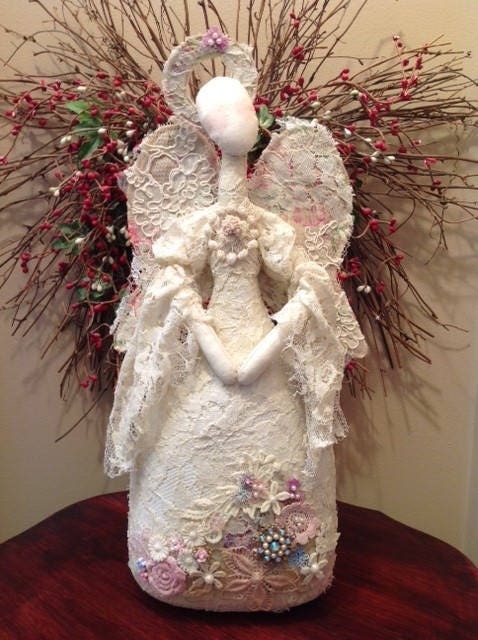 The finished doll is 15" tall, free standing angel with a weighted bottom.